Nakumatt dealt another blow again following the closure of their Mlimani City Mall branch being closed yesterday on Monday morning. According to the management of the mall the retailer chain has been shut down following failure to bring new goods and pay levies for the past year.. The Kenyan retail chain has not paid rents to Mlimani Holding Ltd – the owner of Mlimani City Mall – for three months, according to Mlimani City general manager Mr Pastory Mrosso. Mr Mrosso, added that the Kenyan retail chain has also been operating below standards – with almost empty shelves - even as it enjoys privileges of being an anchor tenant in Dar es Salaam’s most popular mall. 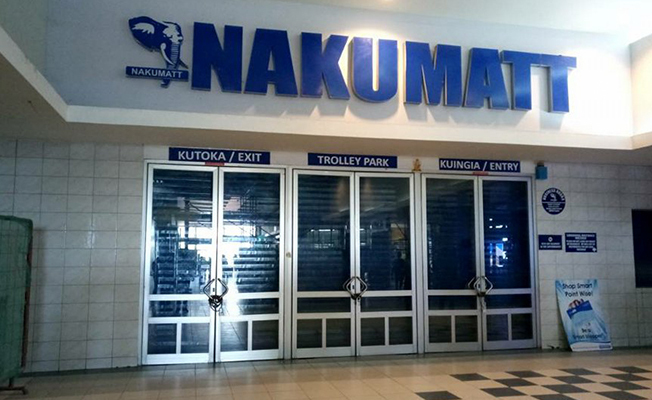 “As anchor tenant, Nakumatt enjoys some privileges including lower rents because such occupants are expected to attract visitors and benefit other business operators within the mall. "However, they are operating below average…their shelves are almost empty and at the same time, they are not paying rents,” said Mr Mrosso. Nakumatt operations in Uganda and Kenya have also been greatly affected following reports of the closure of several of their key outlets. The move to close a number of its outlets was aimed at cutting costs and saving the supermarket Sh 30 billion per year. Almost a year ago Nakumatt Tanzania requested that the Fair Competition Commission (FCC), allow them to sell 51% of its stake to Ascent Investment Limited to help them finance operations and settle debts.